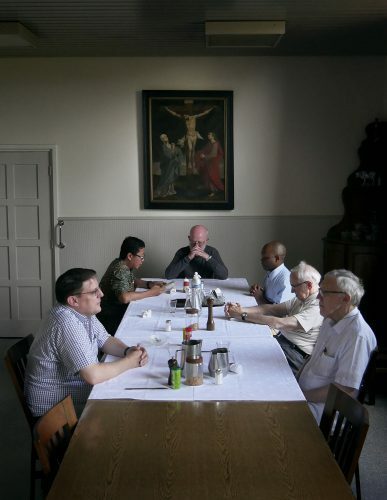 In the small rural village of Saint Agatha six priests live in the oldest cloister of the Netherlands, a celibate life in an ancient day order. Director Daan Jongbloed enters their lives, observing the daily routine and questioning the men. The Monks of Saint Agatha is an endearing documentary about celibacy, intimicy and love.